I am used to the nice feature of MacOS X that has separate volume control per device (Speakers and Headphones). Is this possible on Windows 10 as well? When I mute the sound of my speakers, and plug in my Apple Earpods (3 connectors on the plug) via the 3.5 mm jack, the volume is set as it was the last time I used the headphones. And vice versa. I hope that my example makes sense. I have a MacBook Air (Early 2015), and I try to achieve the separate volume control on my Dell XPS 15 9570. The Dell laptop uses the Realtek (R) Audio driver. Try the free Microsoft Store app EarTrumpet, a Volume Mixer replacement. A review of it can be found in EarTrumpet for Windows 10: A Better Windows Volume Mixer. Since having multiple devices would resolve your issue, you could install a new device. In the answer from K7AAY the headphones are LOGITECH WIRELESS HEADPHONES. They would have to be installed as a device as opposed to simply plugging into the headphone jack of the soundcard. First, let's enable the headphones as a separate device. a) Click the Start button. b) Type Sound in the Start Search Box. c) In the Start Menu Options, choose Change Sound Card Settings. d) Under the Playback Tab, right click and select Show Hidden Devices and Show Disconnected Devices. e) Select Headphones and enable. Then, we set up the device-specific output level. 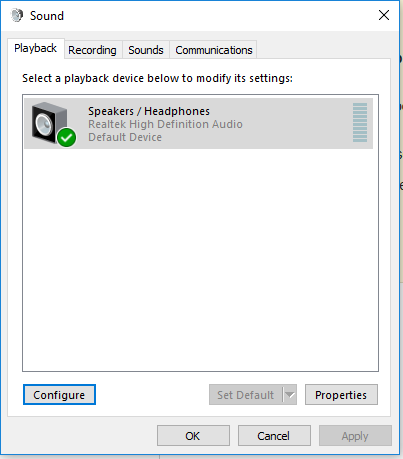 Right-click on the speaker icon in the Tray and choose Playback devices. select one output device (e.g., Headphones, or Speakers). After selecting it, click on Properties. Then, move the slider tab to adjust its relative volume level and click OK .
After some further research, I found the Waves MaxxAudio Pro software on the Dell XPS 15 9570 Support page. After installing this software, the volume is now different for each device. So if I mute the speaker sound, the headphones will not muted and vice versa. 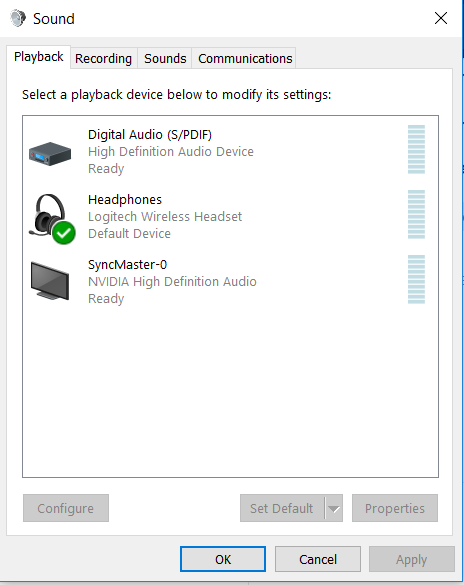 There is still only one playback device, however, MaxxAudio controls the audio. Thanks for researching the problem. Not the answer you're looking for? Browse other questions tagged windows macos audio speakers or ask your own question. How do I adjust the Windows 7 volume control over a smaller range? 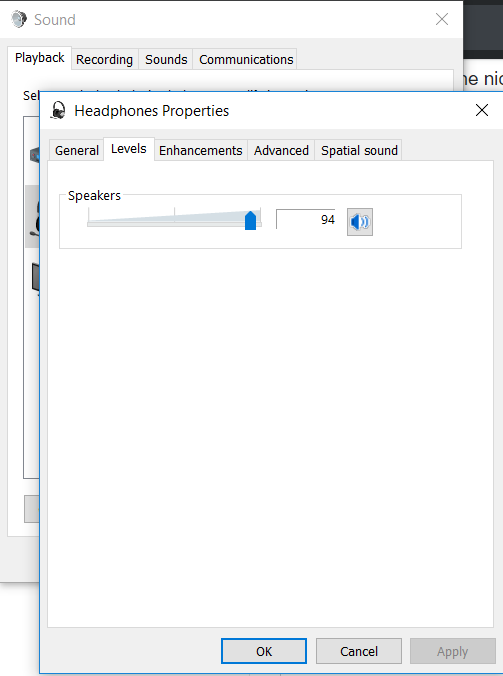 Why does Windows 8.1 mute the master volume automatically?